Food and Drug Administration Commissioner Scott Gottlieb has dramatically escalated his efforts to stop an “epidemic” of teenage vaping, announcing Wednesday a massive enforcement action against retailers for allegedly selling e-cigarettes to minors and warning manufacturers of a potential ban of flavored e-cigarette liquids. In a speech to FDA employees, Gottlieb said that rapid spike in teen use, emerging sales trends and concerns among parents and teachers convinced him that underage use of e-cigarettes has become a full-blown crisis that must be forcefully addressed. “The disturbing and accelerating trajectory of use we’re seeing in youth, and the resulting path to addiction, must end,” he said. In its enforcement action, the FDA recently sent almost 1,200 letters to brick-and-mortar stores and online retailers warning them that they could face penalties for allegedly selling e-cigarettes to people under 18. The agency also imposed fines – ranging from $279 to $11,182 – on another 130 establishments for repeated offenses. Even more significant, notices sent Wednesday morning demand that five leading e-cigarette manufacturers, including San Francisco-based Juul Labs, submit plans within 60 days detailing ways to sharply curb sales to underage consumers. If the blueprints don’t promise to “substantially reverse” the youth-use trend, Gottlieb said the agency will consider steps that could lead to the temporary or permanent removal of flavored products from the market. Such a step would be a major blow to the e-cigarette companies – Juul, Vuse, Blu, Logic and MarkTen – which often feature cream and fruit flavorings in their products. Many public-health groups believe such flavors entice young people to try the devices. The companies insist that the flavors are critical to helping nicotine-addicted adult smokers switch from conventional cigarettes. Gottlieb’s action drew immediate praise from a major tobacco-control organization, the Campaign for Tobacco-Free Kids. “This is potentially the most important step FDA has taken to curtail youth use of e-cigarettes,” said the group’s president, Matthew Myers. But this “fundamental turning point” will produce results only if the agency follows through by requiring all manufacturers to immediately undergo pre-market review at the FDA, he added. Gottlieb echoed those concerns, saying he’s worried about the effects of nicotine in e-cigarettes on the developing brain, and that a proportion of teenagers who use the devices will end up on regular cigarettes. 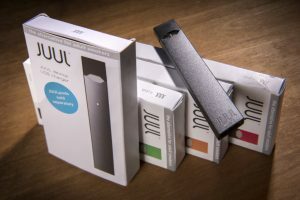 “JUUL Labs will work proactively with FDA in response to its request,” a company spokeswoman said Wednesday. “We are committed to preventing underage use of our product, and we want to be part of the solution in keeping e-cigarettes out of the hands of young people. The FDA’s regulation of tobacco products has long been marked by twists and turns and years of debate. In 2009, the Tobacco Control Act gave the agency authority over cigarettes and smokeless tobacco. In 2016, the agency “deemed” that products such as e-cigarettes also were under its jurisdiction and told companies to file applications to market their products by August 2018. 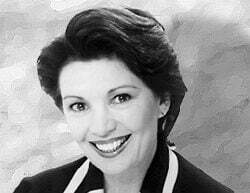 Sales were allowed to continue in the interim. Then last year, a few months after being sworn in as commissioner, Gottlieb announced a new comprehensive tobacco framework. It included plans to reduce nicotine in conventional cigarettes to nonaddictive levels. And it highlighted e-cigarettes’ role as a way for adult smokers to transition off cigarettes. Gottlieb used “enforcement discretion” to extend the deadline for e-cigarette makers’ marketing applications until 2022, saying both the agency and the industry needed more time to prepare. The delay was denounced by public-health groups, which have sued to restore the tighter timeline. One possible remedy, Gottlieb said in an interview, would be to revoke the application delay for cartridge-based e-cigarettes, the most common type used by young people. That would block manufacturers from selling the flavored devices without explicit FDA authorization – a move that could force some products off the market, at least temporarily. Much of the FDA’s sharp change in course is a result of the phenomenal success of Juul, which looks like a USB flash drive. In just three years, it has captured about 70 percent of the e-cigarette market, according to Bloomberg. 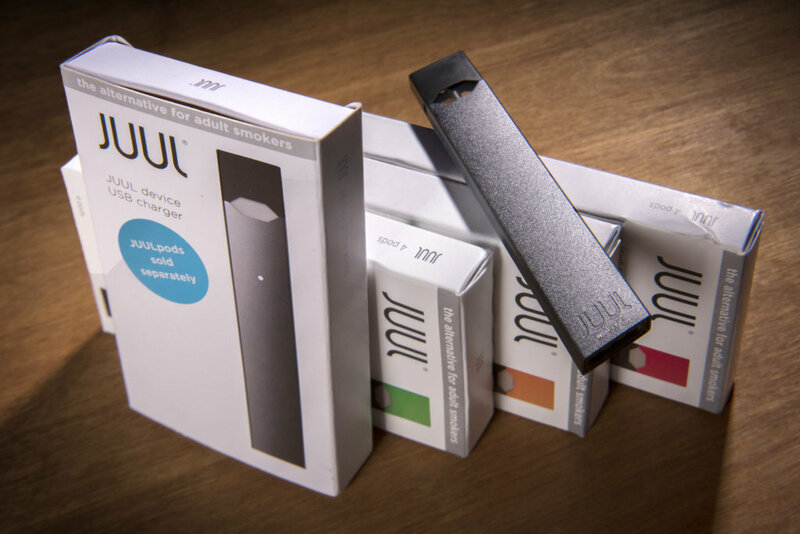 The FDA has pressed Juul in recent months for information about its marketing. The company has stressed that the device was created for adults who want to transition from regular cigarettes. Earlier this year, as criticism of the company mounted, it committed $30 million over the next three years for independent research, youth and parent education and community engagement. It also announced a new social media policy that features adult smokers – not models – and their stories of switching to Juul.